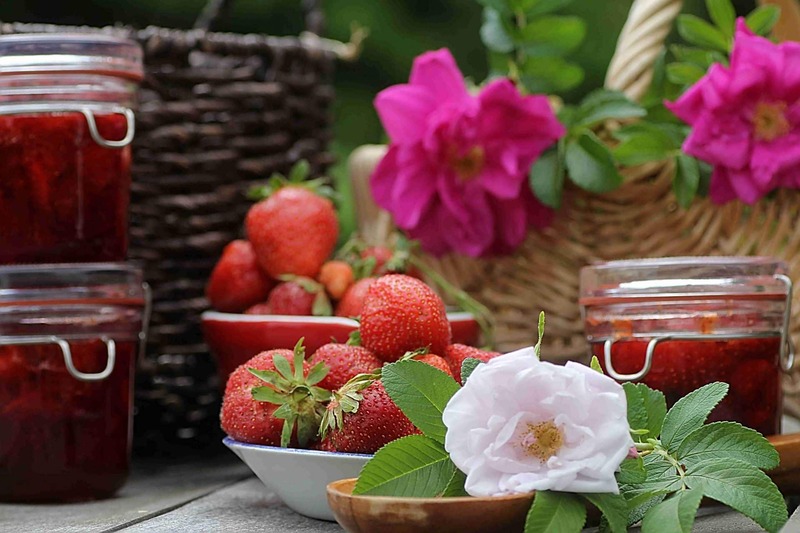 Strawberry Rose Jam is vibrant and bursting with summer flavour. This recipe takes a gentle approach to processing the fruit. 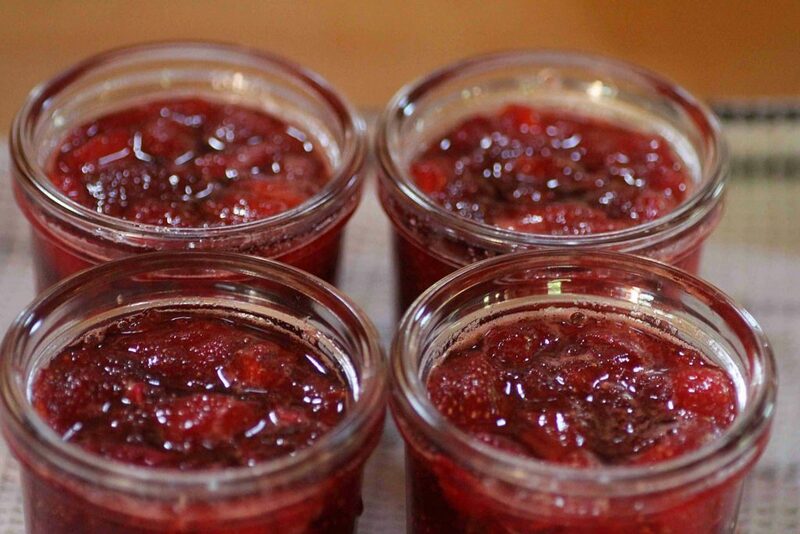 It takes a little bit more time to create this jam but is worth the extra bit of time! Once you have tried this technique and whole new level of preserving jams and jellies will open up to you. 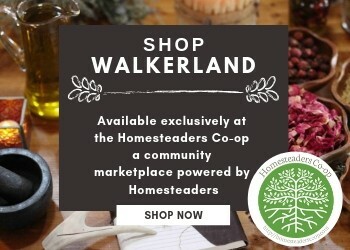 If you are interested in creating special artisan jams and jellies you might also be interested in reading this article: Simple Techniques for Creating Artisan Jams and Jellies. The rose petals add a subtle complexity to the strawberry jam. It can leave people guessing for ages on what that little extra something is. They are always surprised when we tell them it’s rose petals because the flavour is not floral in nature. When using rose petals make sure you are harvesting only petals from plants that have not been exposed to any chemicals or treatments. This recipe uses a technique called maceration. You are essentially drawing juice out of the berries to create a syrup. 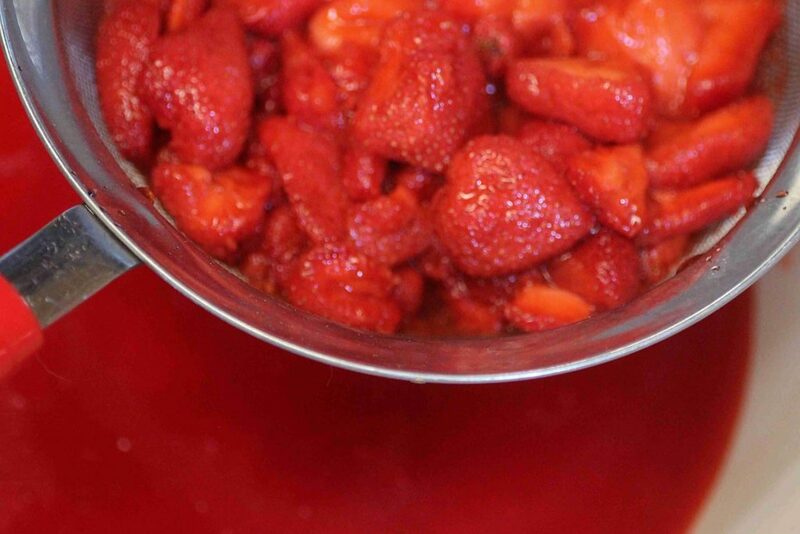 The syrup is boiled down to achieve the nice thick set you want with a jam, while ensuring the strawberries are only exposed to the required amount of heat for safe processing. They retain more of their shape and brightness this way. This recipe is inspired by a lovely French recipe book by Christine Ferber, titled “Mes Confitures”. I was fortunate to have begun my canning journey with the discovery of this book. The book has remained my go to book for inspiration and recipes when making jams and jellies. Christine Ferber’s techniques are thoughtful yet simple. The products that you create following her methods taste luxurious and special. You can read more about the techniques and inspiration behind our Artisan jams and jellies . 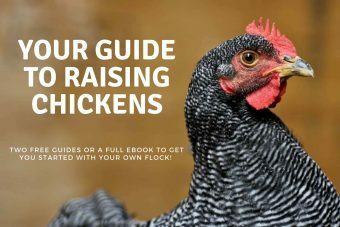 To find a copy of this book in Canada and in the US *These are affiliate links and lead to Amazon. Rinse the strawberries quickly under cold water. Dry with a kitchen towel, Hull the strawberries. Cut them in halves if they’re big, leave the small ones whole. Combine the strawberries with the sugar and the lemon juice in a glass or porcelain bowl. Cover with a sheet of parchment paper and put it in the fridge overnight. The next day, put the strawberry mixture in a large saucepan and bring just to a simmer. Pour the mixture back into the dish, cover with parchment paper, and let rest in the refrigerator overnight again. On the third day, put a saucer in the freezer. Wash the glass jars and their lids carefully, then soak them in boiling water for 10 minutes, and set them out to dry upside down on a clean kitchen towel. Pour the mixture through a sieve. Bring the syrup you’ve gathered to a boil, and let it boil for ten minutes. Skim the syrup and remove the foam with a spoon. Add in the strawberries and rose petals to the syrup. Bring to a boil for 5 minutes, stirring gently. Take the saucer out of the freezer, and put a drop of jam on it. Tilt the saucer, and see if the jam is set. If not, let it boil for another minute, then test again until you’ve reached the desired consistency. Quickly skim the foam from the jam and then ladle into the jars until they are full (leaving 1/4" of head space). Wipe the rims of your jars carefully if there was any spillage and close the lids. Follow correct canning process to complete. Water or steam can for 5 minutes (sterilized jars) and 10 minutes (non sterilized jars). How many jars will this make? 32 oz total which would be 4 x 8oz / half pint jars.